Conquering three mountains to save the Sulawesi crested black macaque! 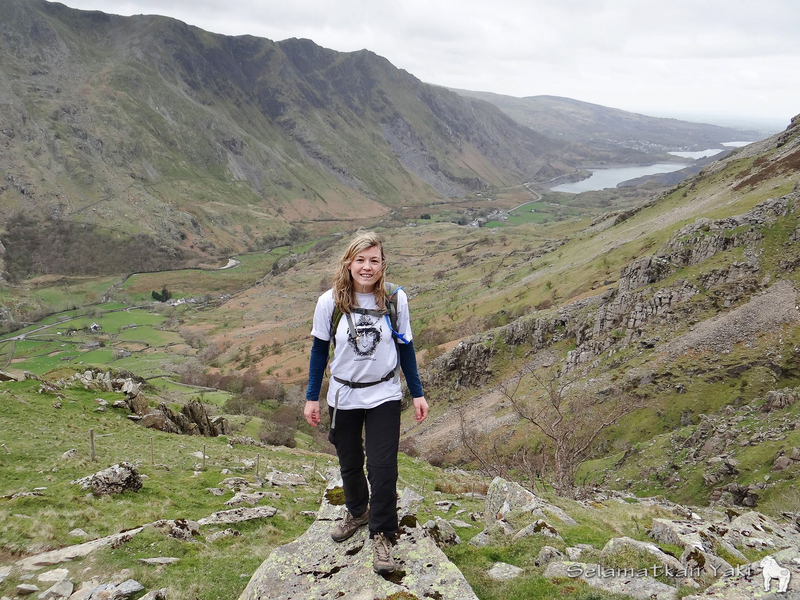 Jodie Dryden, Zookeeper at Drusillas Park, training for the Three Peaks Challenge. Ten zookeepers from five zoos across the United Kingdom have swapped their zookeeping role for the mountains, in a bid to raise both funds and awareness for the Critically Endangered monkey Macaca nigra. During this Three Peak Challenge on July 5th they will climb Mt. Ben Nevis (Scotland), Mt. Scafell Pyke (England) and Mt. Snowdon (Wales), in a period of just 24 hours, with a total of 13 hours walking, the 27 mile route ascending/descending 2900m. North Sulawesi is home to an incredible diversity of plant and animal species, with one of the highest levels of endemism (species unique to the area) in the world. However, due to hunting, forest loss and the pet trade many of these unique species are under threat. One of the most threatened is the Sulawesi crested black macaque – known locally as yaki. Restricted to small forest fragments in the Northern tip of the island, these monkeys have experienced an estimated population decline of more than 80% in the last 40 years, and are now Critically Endangered and in urgent need of protection. The Sulawesi crested black macaque, locally known as yaki, is a charismatic primate which only occurs in North Sulawesi, nowhere else in the world! The star behind the Three Peak Challenge is Jodie Dryden, zookeeper at Drusillas Park, UK. 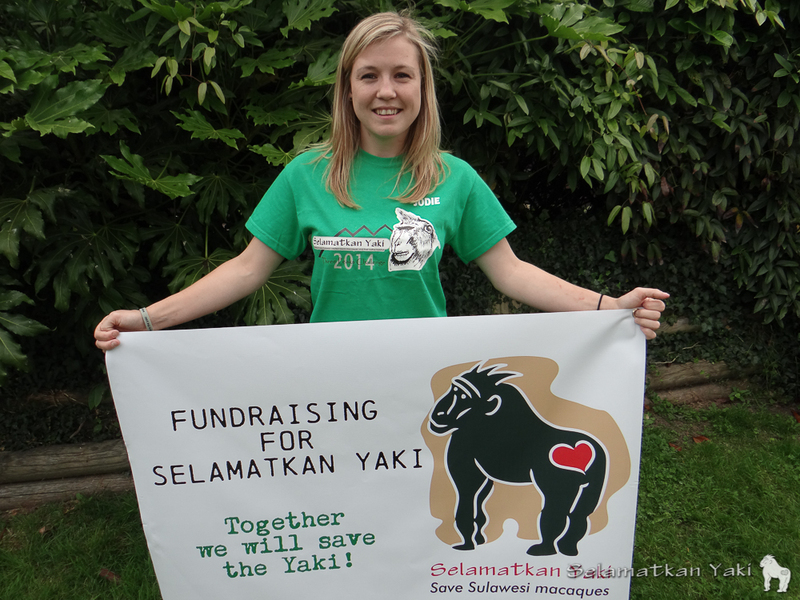 In 2013, Jodie went to see the Macaca nigra in the wild and volunteered at Selamatkan Yaki, a conservation programme in Manado, North Sulawesi, which focuses on the protection of this species and its habitat. Selamatkan Yaki is a programme through the Whitley Wildlife Conservation Trust based at Paignton Zoo in the UK, comprising a strong collaboration of partners, with support and cooperation from key stakeholders. By focussing on protected area management, ecotourism, community development, education and awareness-raising the programme aims to reduce the threats to the species. 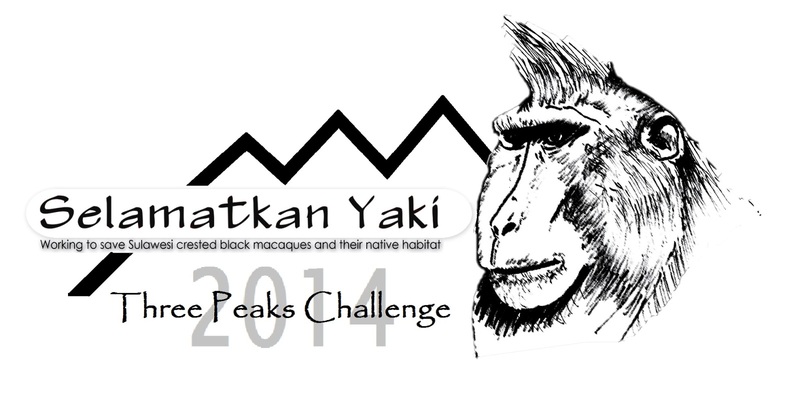 Follow Jodie and her team and stay updated on the Three Peaks Challenge through Selamatkan Yaki – Facebook and Twitter! 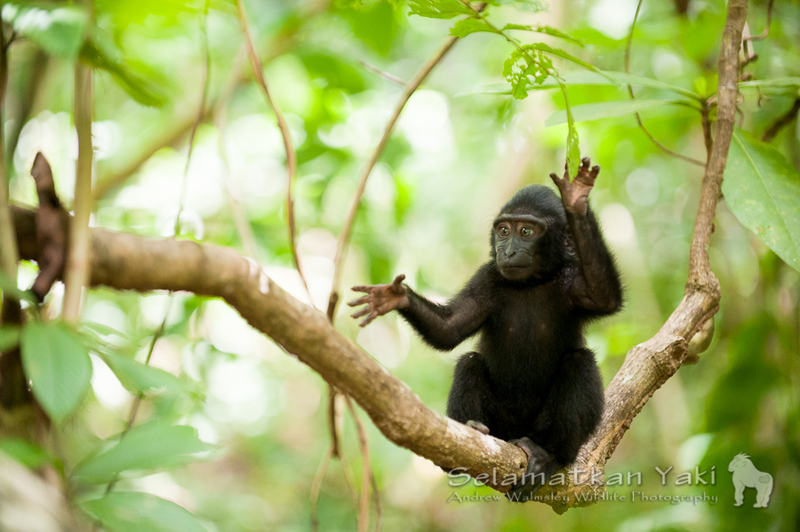 Would you like to help safeguard the yaki alongside many other species in the North Sulawesi rainforests? Follow the link to the Three Peaks Fundraiser website (click).